Swrve, the world leader in mobile marketing automation, announced today it has reached a definitive agreement to acquire Converser, a mobile communication innovator, to provide sophisticated and personal communications for mobile marketers and strengthen its competitive advantage. Last fall, Swrve announced it had increased annual revenues in the first half of 2014 by more than 250% and closed a $10M funding round to fuel expansion. The company also announced that more than 3 billion transactions take place on the Swrve platform every day. That number has recently grown to nearly 6 billion, doubling in under 6 months. Converser technology will complement Swrve’s existing product, extending the campaign types available to mobile marketers, and making the integrated campaigns that deliver increased mobile engagement, retention and revenue more effective than ever before. Through Swrve’s innovative open platform, more than a dozen partners have pre-integrated with Swrve to help marketers see real ROI and create better customer experiences across mobile and web. Key partners include Marketo (NASDAQ: MKTO), Eloqua (NYSE: ORCL), Tableau, TUNE, AppsFlyer, Lytics, Nexmo, AdX and Apsalar. Swrve and Converser will be demonstrating their integrated functionality at Mobile World Congress in Barcelona on Monday March 2nd, through Thursday March 5th. MWC attendees are welcome to visit us at Hall 8.0 Booth Number 8.0 E38. The acquisition remains subject to customary closing conditions. 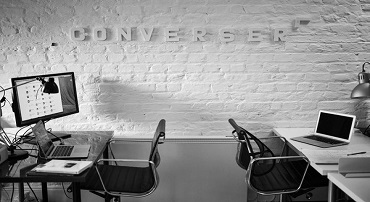 Converser was established in 2011 in Dublin, Ireland. Converser’s platform offers behavioral understanding, a wide array of marketing communications, in-app customer support, campaign performance measurement, and much more. Converser’s influential client list includes banking and finance organizations, power and utilities providers, radio and television broadcasters, as well as publishers, including EMEA media powerhouse Future Publishing. Swrve is the world leader in mobile marketing automation. Swrve provides a set of tools and best practices that enable mobile and digital marketers to deliver outstanding experiences and ‘perfect conversations’ with mobile app users, and as a result drive engagement, retention and revenue across their businesses. Swrve specializes in real-time segmentation and personalization of content within the mobile app and on the mobile device. Those tools include everything needed to deliver push notification campaigns, in-app messages and native content changes – all A/B tested and without involvement from engineering. Swrve is used by some of the world’s leading app companies and brands, and processes nearly 6 billion events a day across a billion devices, worldwide. Swrve was recently featured in a VentureBeat article titled: 19 Startups Ready to Blast Off in 2015.